CSA STANDS FOR COMMUNITY SUPPORTED AGRICULTURE. EACH WEEK FROM MID JUNE TO MID OCTOBER, MEMBERS WILL VISIT THE FARM AND PICK UP A BOUNTY OF NATURALLY GROWN FRUITS AND VEGGIES. ALONG WITH YOUR SHARE YOU WILL RECEIVE A "WHAT'S IN MY SHARE LIST' AND ACCOMPANYING RECIPES. Did you know we use all of our own compost??! We use natural things like fish, vinegar and even beer as fertilizer and pesticides. Even our fence posts around the vegetable field are hand made and UNTREATED!! #knowyourfarmerknowyourfoodWelcome to the 2019 CSA Season!! We are excited for a fresh and new upcoming season with increased variety, focus on quality and quantity, new share boxes, weekly recipes created in collaboration with our partner Chef Baumann, farm to table end of season celebration, naturally grown, freshly harvested produce, and more offerings including a weekly farm to table dinner share!! 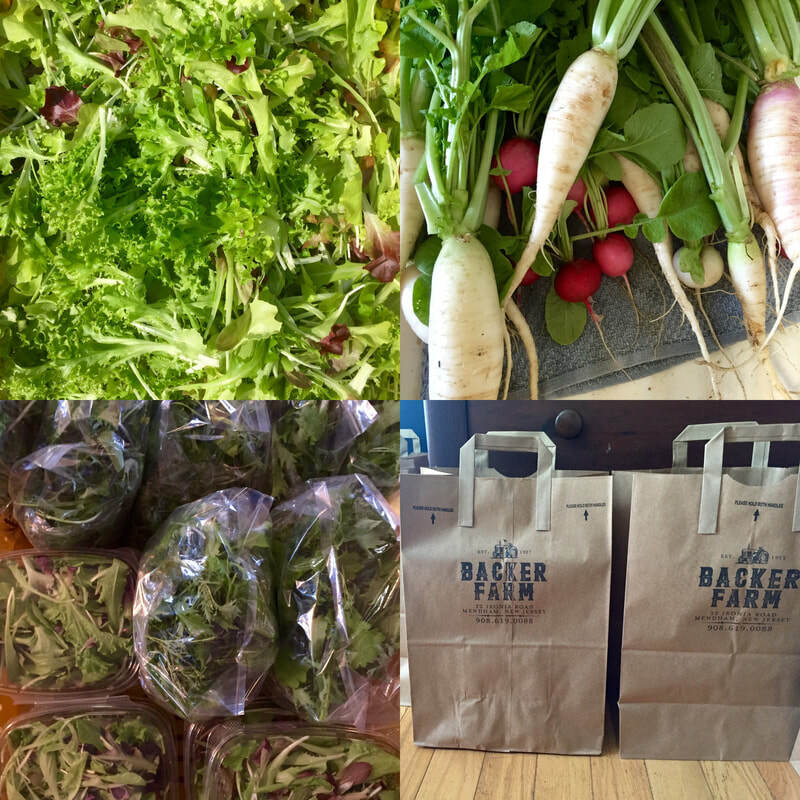 Every Wednesday or Thursday a box of fresh produce will be ready for you to pick up at Backer Farm in Mendham. Along with your box, you will receive weekly recipes featuring items in your share along with a “what’s in my share” list. 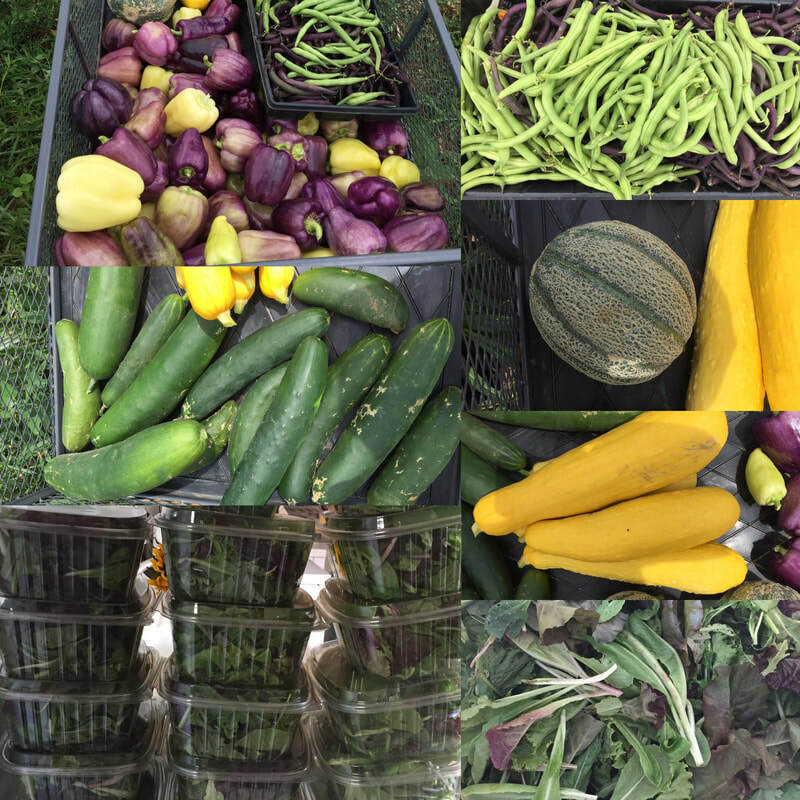 Tomatoes, root vegetables, cucumber, zucchini, berries, melons, peppers, squash, carrots, turnips, radish, leafy greens, eggplant, herbs, sweet potatoes, beets, cabbage, broccoli, cauliflower, corn, beans, and so much more!!! 2019 Farm to Table Prepared Meal CSA Let us do the cooking for you throughout the CSA season!! Freshly prepared, farm to table meals that compliment our weekly CSA offerings, created by our partner Chef Baumann from The Chef and The Baker. Meals are composed of seasonal, naturally grown produce straight from the farm. Meals include salad, entrée, and a vegetable side, as well as all accompanying sauces and dressings. Vegetarian and Gluten Free Options Available. Convenient pick up in the farm stand during the produce CSA pick up. One stop shopping!! PLEASE NOTE THAT THESE PRICES ARE AT LEAST A $10-$15 SAVINGS PER MEAL COMPARED TO PURCHASING A LA CARTE.